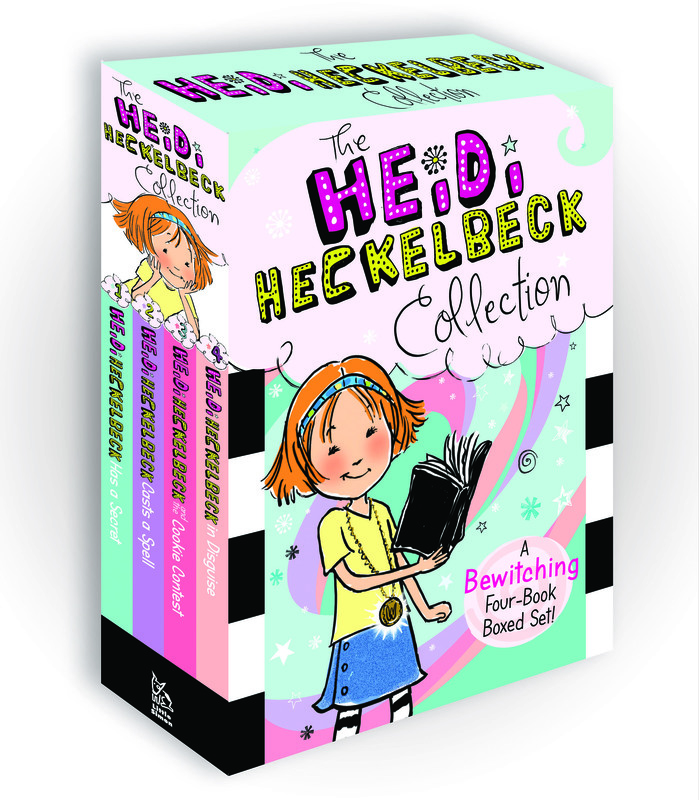 Make some magic with this collection of four Heidi Hecklebeck stories in one bewitching boxed set. Read about Heidi Heckelbeck’s first day at school in Heidi Heckelbeck Has a Secret, where she meets a meanie, makes a friend, and reveals her big secret: she’s actually a witch! Then Heidi casts a spell on mean-girl Melanie right before the school play in Heidi Heckelbeck Casts a Spell. Next in Heidi Heckelbeck and the Cookie Contest, Heidi uses a little magic to make her baked treats extra-special. And in Heidi Heckelbeck in Disguise, Melanie dresses up as a witch—so Heidi dresses up as Melanie! With easy-to-read language and illustrations on almost every page, the Heidi Heckelbeck chapter books are perfect for beginning readers—and now the first four stories are available in one spell-filled collection.